As the paperless era is approaching, there has been a lot of changes in the utility of digital storage media. One of the noticeable changes is that most of the people rely on portable data storage solutions like SD or memory cards in the recent time. The consistent development of technology has turned the SD cards into the most convenient and inexpensive storage media. It comes with a volatile storage and the data can be protected too using encryption techniques. The latest SD cards are quite faster in data transferring and also has a huge storage capacity. And, they have a wide range of uses in music players, smartphones, tablets, digital cameras, camcorders etc. But these storage media are not free from different technical glitches which can end up turning the SD card corrupt. Due to accidental formatting or any damage, the data stored in your SD card will be lost. Sometimes, the card becomes inaccessible and therefore, you can’t open it on your computer. At that moment, your Operating System will notify that the card is corrupted or unreadable. It is true that if the SD card is physically damaged, then there is no guarantee of data recovery. But for logical damage, there are a number of ways to retrieve back the lost files from your memory card. In this content, we will get to know about the possible ways to recover the data from your SD card which is corrupted or not working properly. Follow the given instructions carefully and you’ll be able recover all the lost information from your SD storage. However, in case the data doesn’t get recovered correctly, then you’ll need to consult with the professionals. We would recommend you to contact any reliable centre for Data Recovery in Dubai for availing authentic Data Recovery Services at a reasonable rate. The first thing to do is stop using your SD card right after the data loss. It might increase the chance of data overwriting which can result into data recovery failing. So, to get back the lost information you’ll require a suitable software application. There various data recovery tools available over the internet which you can use to recover information from you damaged SD card. Insert the SD card in the cardreader and then connect the card reader to your desktop. Make sure that there is no virus in your SD card which might affect your computer. If possible, run a virus scan over your memory card. Double-click on the Data Recovery Wizard on your computer to run the program. Then, select the corrupt SD card that you’ll find under the “External Devices” section. Next, select ‘Scan’ to start locating the lost files on your SD card. To check and preview the retrieved files, you need to double-click on each of the tabs mentioned above. After that, click on ‘Recover’ to save the found files to a new location other than the previous one on your computer or any other external storage. Now, let’s have a look at some alternative useful methods that can get back all of your lost information from the corrupted SD card in no time. Put the corrupt SD card into a card reader and then connect it to your computer. Click the ‘Start’ button from the Windows taskbar and click on ‘Computer’. Go to ‘Devices with Removable Storage’ in the Computer window and look for your SD card. Then, you need to see if the drive letter is properly assigned or not. Again, click ‘Start’ and type ‘cmd’ in the search box. Right-click on the Command Prompt option from search result and choose ‘Run as administrator’. In this way, the Command Prompt window will open from which you can fix your card. Type ‘CHKDSK’ followed by the drive letter of your SD card and then a colon with /f. Press Enter to execute the command. Now, it will scan your SD card and fix the inherent errors. And, along with that, check the subsequent message prompts. When the scan is complete, check if all the lost files are recovered by verifying the assigned drive letter. Sometimes, the affected SD card might not respond to your computer. You have connected the card to your system via a card reader, but your system isn’t reading it. This happens because your system is not assigning a drive letter to the SD card and so, the card has become unreadable. In other cases, despite the drive letter assigned to the card reader being present, a problem arises with a message saying “Please insert the disk into drive E:”. Which means that your system is not reading the card inserted. To solve this problem, you have to assign a new drive letter to the SD card. You can do that from your Operating System settings. If the system fails to read the files in your card, you’ll not be able to access the files stored in the card. But there is a chance that the directory will list the filenames. So, go to the drive letter and select ‘Properties’ by right-clicking it. You’ll be able to see the used as well as available storage capacity of your SD card. If you see that almost the entire storage is free, then the files may have been erased or the directory is possibly removed. Thus, you have to use the SanDisk inbuilt solution which will further restore the deleted files on your SD card. Hence, given above are the possible solutions that you can use to recover all lost information from your SD card. If the card is still not fixed and the data is not retrieved properly, don’t feel hopeless. Get the best Data Recovery Services in Dubai and solve this problem once and for all. How do I recover photos from a formatted SD card? Connect the SD card to the computer using a card reader. Then, check the drive letter assigned to it. Download a data recovery tool and launch it. Now, scan the entire SD card with the help of recovery software. After that, verify the files and click on ‘Recover’ to complete the process. Click on “Recover Photo, Audio and Video” in the Home Screen. Then, you need select the corrupted drive to recover data. After choosing the problematic SD card, click on ‘Scan Now’. How can I recover pictures from my SD card for free? First, use a card reader to connect your SD card to the PC. 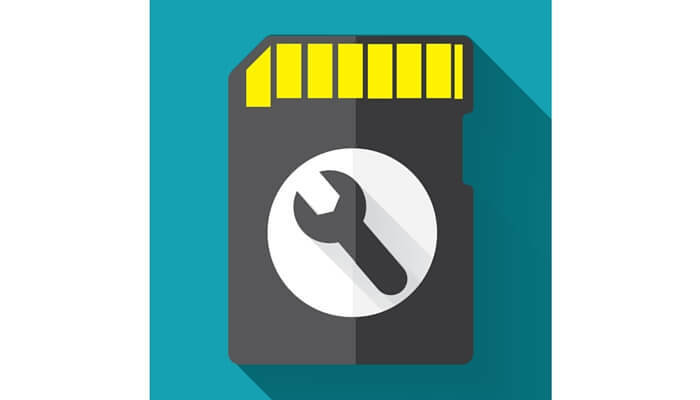 Download and run the SD card recovery tool on your PC. Scan the files and verify the ones you want to recover from the card. Click on Restore to start the recovery process. How can I recover my deleted data from SD card in Android? Connect a Micro SD Card with your Android Device or a card reader. At first, launch Android Data Recovery on your computer, and then connect your SD card. Select a Scan Mode to scan your SD card. Preview and Recover data from your SD card selectively.